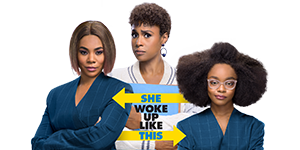 Lupita Nyong'o, Elisabeth Moss, Shahadi Wright Joseph and Winston Duke at the 'Us' premiere. Kevin Costner, Kathy Bates, Casey Silver, Thomas Mann, Kim Dickens, Woody Harrelson and John Lee Hancock at the SXSW premiere of 'The Highwaymen'. Kaitlyn Dever, Olivia Wilde and Beanie Feldstein at the 'Booksmart' premiere. 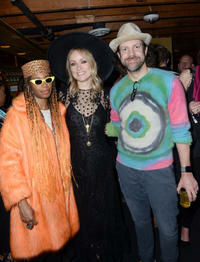 Santigold, Jason Sudeikis and Olivia Wilde at the 'Booksmart' premiere afterparty. 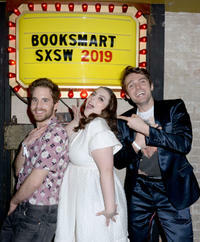 Ben Platt, Beanie Feldstein and Max Sheldon at the 'Booksmart' premiere afterparty. Seth Rogen, Evan Goldberg, Jaosh Fagen, James Weaver, Keith L. Williams, Brady Noon, Midori Francis, Jacob Tremblay, Molly Gordon, Lee Eisenberg, Will Forte and Gene Stupnitsky at the 'Good Boys' premiere. 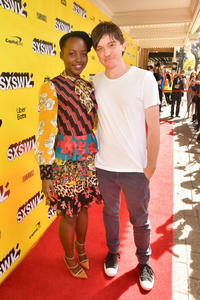 Lupita Nyong'o and Abe Forsythe at the 'Little Monsters' premiere. Harmony Korine, Martin Lawrence, Matthew McConaughey, Stefania LaVie Owen, Isla Fisher and Jimmy Buffett at the premiere of 'The Beach Bum'. Martin Lawrence poses for a selfie with a fan at the 'The Beach Bum' premiere. Marchánt Davis and Danielle Brooks of 'The Day Shall Come'. Anna Kendrick and Marchánt Davis at the premiere of 'The Day Shall Come'. Riley Stearns, Jesse Eisenberg and Imogen Poots speak at the 'The Art Of Self-Defense' premiere. Nick Kroll, Morgan Schild, Alexi Pappas, Jeremy Teicher and Gus Kenworthy at the 'Olympic Dreams' premiere. Kathy Griffin and Troy Miller at the premiere of 'Kathy Griffin: A Hell Of A Story'. Jay Duplass, Tom Cullen and Tatiana Maslany at the premiere of 'Pink Wall'. Marc Maron, Michaela Watkins, Lynn Shelton, Jillian Bell and Jon Bass at the 'Sword of Trust' premiere.